A 160 years before the birth of the Lord Jesus Israel was invaded by the Seleucid Greeks under their despotic leader Antiochus Epiphanes. He was called “the madman” and his name meant “god manifest.” After he had invaded Israel and conquered Jerusalem he forbade the reading of Torah and sought to impose Greek laws and customs on the Jewish people. He also killed all who opposed him including those caught with a copy of the Torah. He introduced cult prostitution and many Jewish leaders went along with his agenda. The ultimate sacrilegious act he committed to spite the Jewish nation was to slaughter a pig on the altar of sacrifice and install an image of Zeus in the Temple (the image of his beast empire). Ultimately he was defeated by the Maccabeas, driven out of Israel and the Temple in Jerusalem re-concecrated to God. The Lord Jesus Himself spoke about this abomination that occurred in the Jewish Temple in the time of Antiochus and said that it was going to happen again in the future. In 70AD it did happen again when the Romans, many of whom were Arab Auxillary troops, after destroying the temple, raised emblems to Zeus on the rubble of the Temple Mount and worshipped them. This was another abomination in the Temple. However, when we read Matthew’s account of what the Lord Jesus said in chapter 24 He not only foresaw 70AD but telescoped to the end of this age and said that there would be a final abomination of desolation in the Jewish temple. In the book of Daniel we are told that a ruler will come in the character of Antiochus who will proclaim himself to be God. Today we have three major ‘holy sites.’ One is the Temple Mount. The other is the Hagia Sophia Basilica (at present a Museum in Istanbul Turkey) and the other one being the Vatican in Rome. These three structures collectively represent Judaism and eastern and western Christendom. For almost 1,000 years the Hagia Sophia was the Vatican of Eastern Christendom. It was a physical temple of God where He was worshipped. It was one of the 8th wonders of the ancient world. It was the grand monument of Eastern Christendom as the Vatican is the grand monument of Western Christendom. There is no doubt that President Erdogan wants the Temple Mount in Jerusalem to completely demoralise and destroy the Jewish presence in Israel. Even though he lost the elections he is still not going to go away anytime soon but I think will find a way to return even if he has to ‘hijack’ the Turkish government as Adolph Hitler did to the German government. The man from Turkey also wants to turn the Hagia Sophia back into a Mosque and recite the Muslim prayer in his desire to eliminate Christianity in Turkey in the tradition of his Turkish Ottoman forebear Mehmed the Conqueror. Mehmed captured Constantinople in 1453, and ordered that this main church of Orthodox Christianity be converted into a mosque. To the Muslims there is still ‘a temple of God’ to be conquered and that is the one in Rome. There is no doubt that Islam wants to take the Vatican which it has failed to do in past history and turn it into a Mosque. Muslims see the Vatican as the last monument to Christendom and undoubtedly President Erdogan knows this. If he becomes the supreme caliph of the Islamic world then he will need to sit in Jerusalem and in the Hagia Sophia and in the Vatican. While his seat of power would be in Jerusalem (Daniel 11:45) he could well place a high tech hologram image of himself in the Hagia Sophia and in the Vatican receiving the worship and adulation of the whole Muslim world. In that sense he would be the one sitting in God’s Temple and proclaiming himself to be God and having authority over Judaism and Christendom. Today the temple on earth that counts as far as God is concerned is the spiritual temple where He dwells by His Spirit in the believer individually and in belivers corporately wherever they are gathered to worship Him is Spirit and in truth. These are the ones the Father seeks to worship Him. (John 4:13-24) They worship in Spirit and in truth. If there is doctrinal error then the Holy Spirit will not bring about unity. Biblical truth is what unites belivers not ecumenical unity! The Body of the Messiah, the spiritual temple in whom the Lord Jesus dwells through the Holy Spirit, are the targets of the spirit of antichrist today. God is no longer concerned about a physical temple in this age as He already has a living one on earth in which He dwells and through whom He works. If the Temple is rebuilt in Jerusalem and the sacrificial system re-instated it will not be approved by God because He has already sent His Living Temple in His Son and Israel by enlarge have rejected Him. The only other physical temple that will count is the Millennial Temple to be built on Mt Zion in the original City of David. 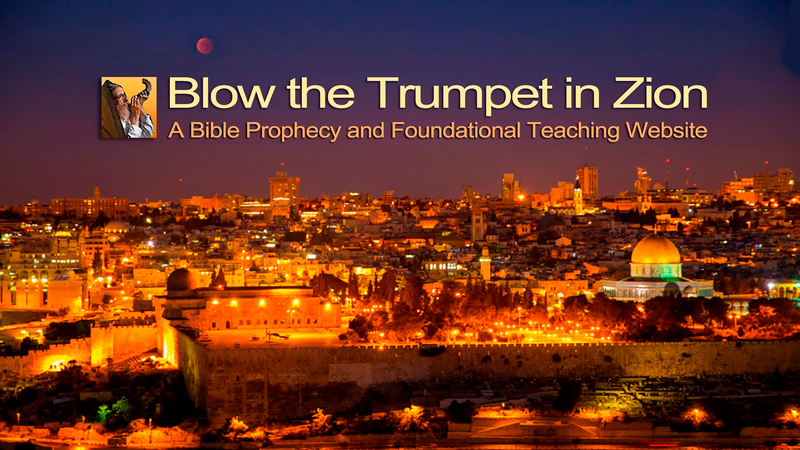 The Lord Jesus will be worshipped on Mt Zion in His Messianic Millennial Kingdom. As God says; “I have installed My King on Zion, upon My holy hill.” (Psalm 2:6) This prophecy applies to the first and to the second coming of the Lord Jesus. The Antichrist will seek to destroy Judaism and Christianity from the face of the earth. Firstly he will take control of the Temple Mount, President Erdogan already has his sites on the Temple Mount and his designs on the Hagia Sophia. His final ‘mein Kampf’ will be the conquest of Rome to establish in Europe a revived Turkish Ottoman Empire. I am persuaded that what happened to Constantinople must happen to Rome is in his thinking and then he will have eliminated, or so he thinks, Christendom. John tells us that Satan’s city and his seat of power are located in Turkey today. (Revelation 2:13) John wrote his letter to seven literal churches in Turkey. The seven churches also represent seven types of churches that can exist in history and seven types of churches that will exist in the last days. The fact that the Churches are all located in Turkey may well be the Holy Spirit telling us that before the Lord Jesus comes back the Body of the Messiah, the faithful Assembly (Church) will have to face the Turkish Antichrist with his Islamic beast empire. In that day people will have one of only two choices to make. Will it be the cross or the crescent? The Lord Jesus is coming soon! May He give His Bondslaves all the grace and the power to faithfully endure to the end!